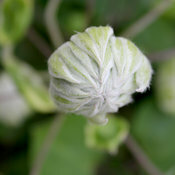 'Diamond Ball' - Clematis sp. 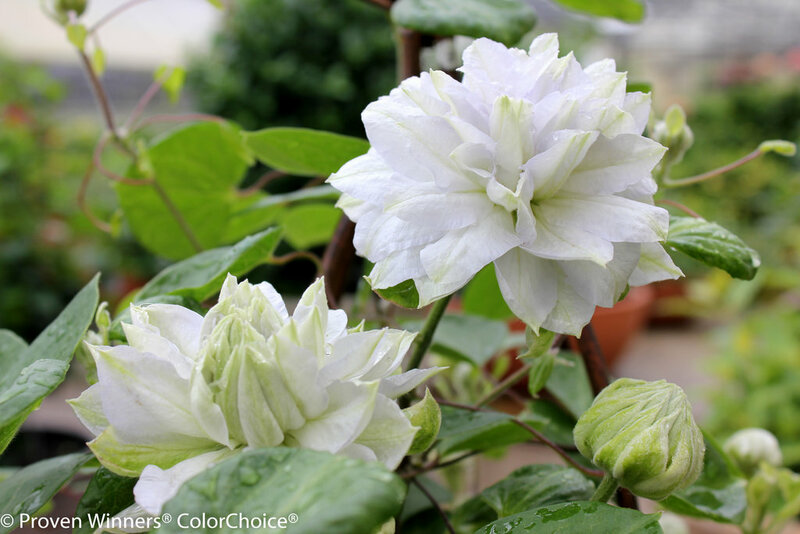 Add some icy cool to your summer garden! 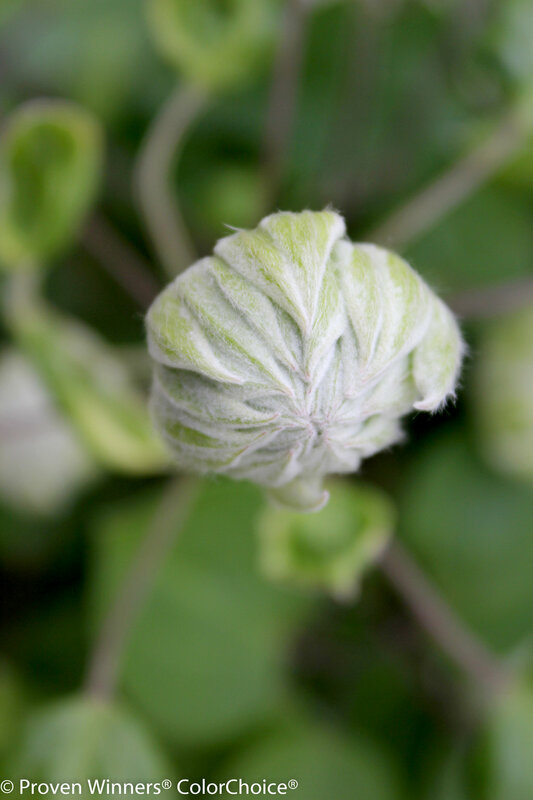 The cool white-blue flowers are round or semi-spherical in shape, and reach 4-5" in diameter. 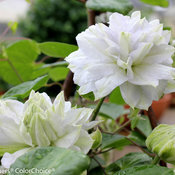 This prolific bloomer flowers on both old and new wood, and blooms from June through August. 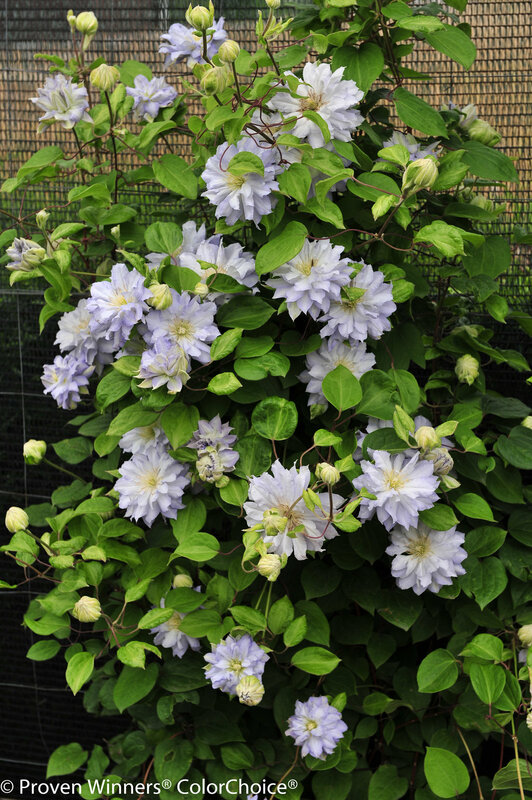 "Feet in the shade, head in the sun" is the old maxim for successfully growing clematis, so plant it where the vine gets sunshine but the roots stay cool. You can accomplish this with mulch, or by shading the root zone with a nearby shrub or perennial. 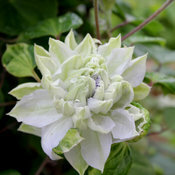 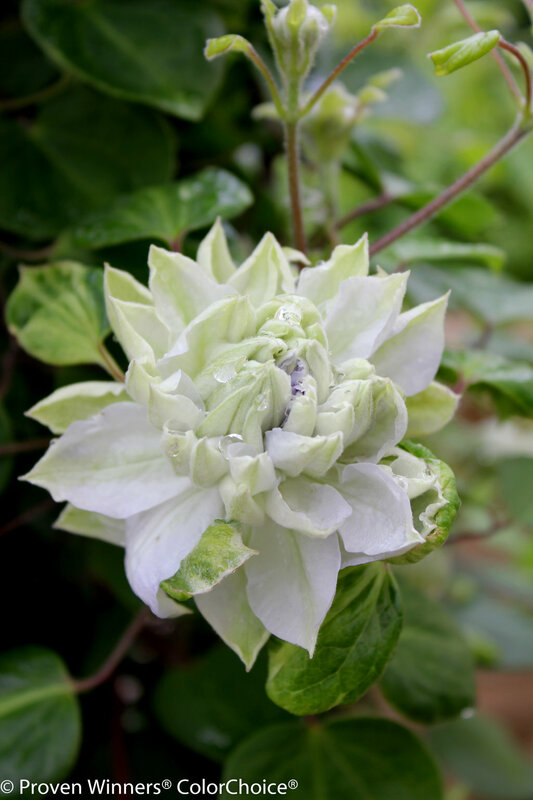 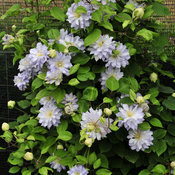 'Diamond Ball' clematis flowers on both old and new wood, so for pruning, cut it back to 18" (45 cm) tall in early spring. 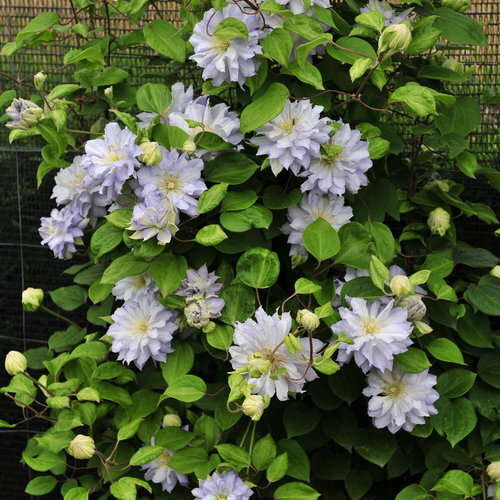 Provide a trellis or other structure for clematis to climb on at planting time.